Shade: Some shade just outside the play area. 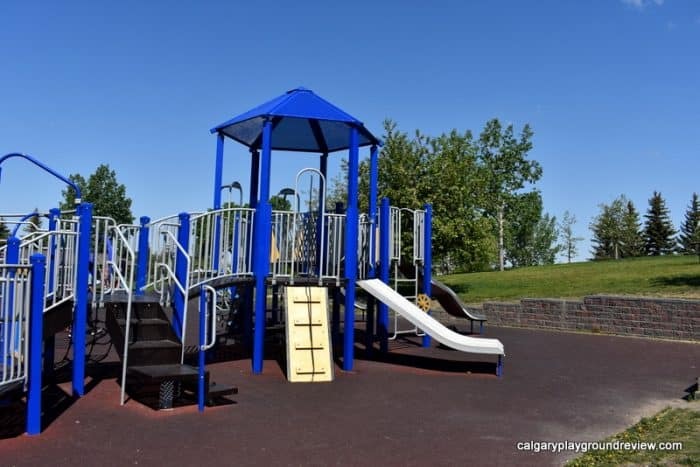 Accessibility: The ramps and accessible flooring make this a great playground for kids who use wheelchairs or are just unsteady on their feet. The play space isn’t too crowded enabling kids to get right into the play almost everywhere. The saucer swings and merry-go-round spinner are able to be used by kids who can transfer and/or don’t have great motor control. Seating: there are a few benches at the playground and lots of benches and picnic tables in the surrounding area. It now also has a covered picnic area in sight of the playground. Overall assessment: This playground can handle a huge number of children. The merry-go-round spinner in particularly is very popular – tons of kids can all play on it at once and have a great time. 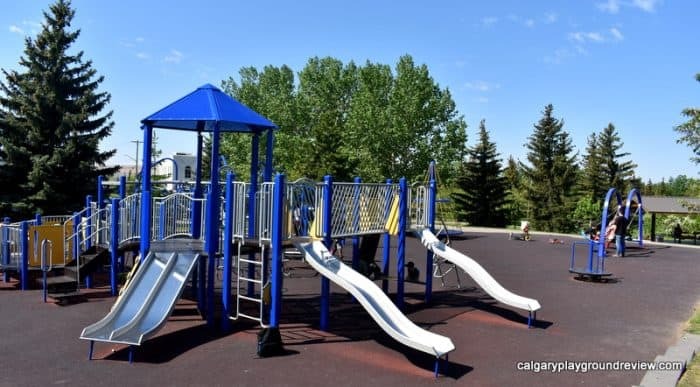 This playground is great for really little kids with the ramps and smooth flooring, but still has climbing equipment that will challenge older kids too. 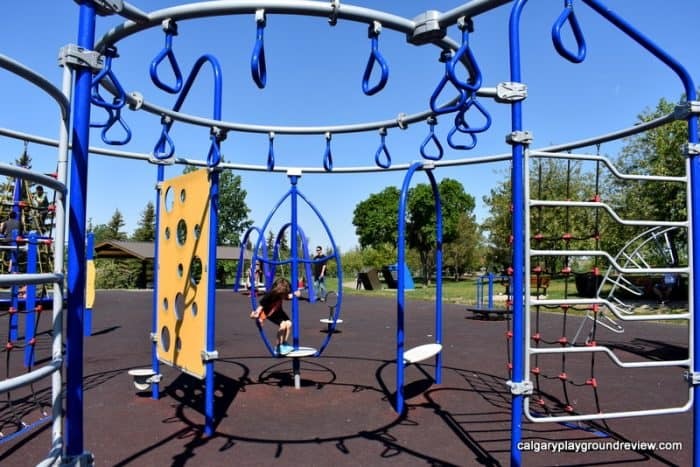 The swings and merry-go-round spinner are also great for small kids and big kids although when the playground is really busy little kids don’t get much of a chance at the spinner. If you’re looking for a great playground where you’re almost guaranteed to not be alone, I’d highly recommend this one. 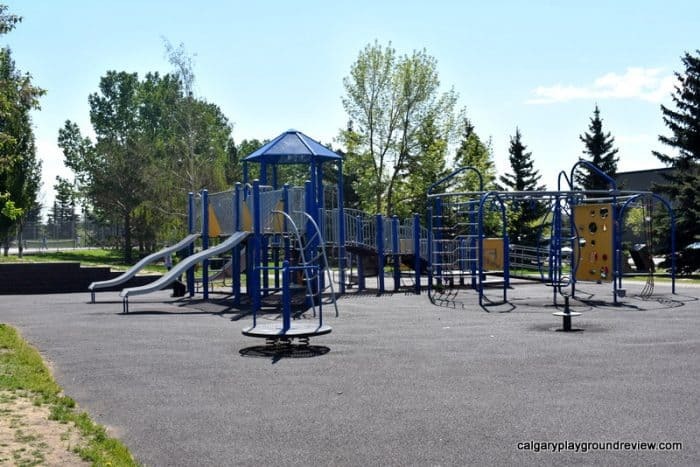 It is a short distance across the park to the new natural playground as well as the wading pool/spray park. Have you been to this playground what did you think? Does Prairie Winds have a little slide in to the big pool? I’d heard it does but then it wasn’t there when we went last year. Glad to hear they updated the old wooden playground. We always wear water shoes btw and it makes pools less slippery. As well, when there are rocks in the wading pools or splash park areas it can really hurt feet. I saw somebody slice open a toe once on a tiny rock in a pool. I’ve never seen a slide there. I don’t know if they used to have one. Does Prairie Winds Park have any basketball court near there? I’m sorry you weren’t able to find the newer playground. It’s on the south side of the park by the smaller parking lot. 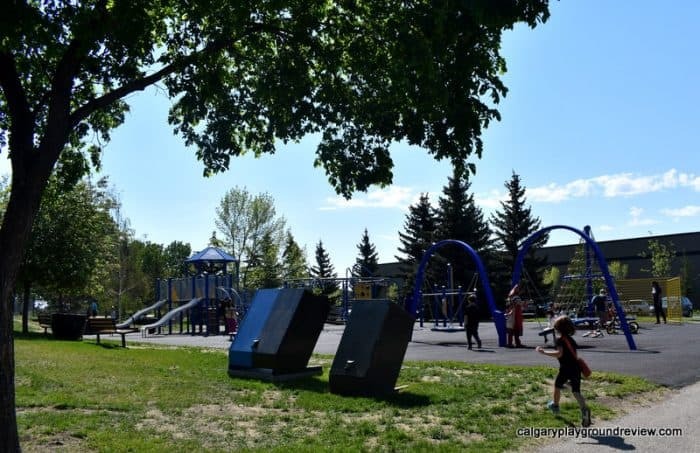 The spray park area has had to undergo some emergency repairs this year. That’s a good question and I’m not totally sure of the answer. For a wading pool, it gets fairly deep. I think the deepest part would be somewhere around 2-2.5 feet. So for anyone looking to play grounders on this playground, I would recommend not going to this playground during the weekends. It’s really packed. 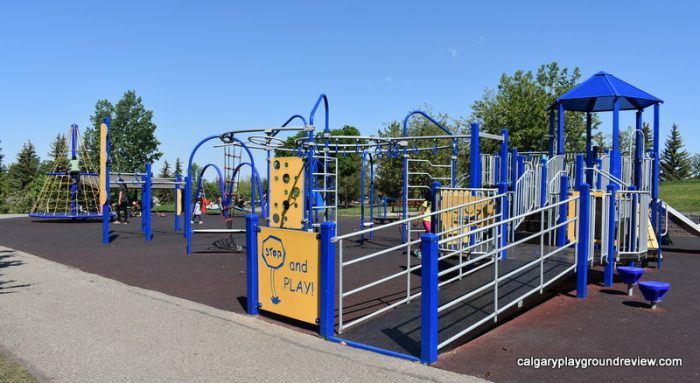 It’s filled with children and parents who will judge the older kids for playing on the playground.